1st printing. 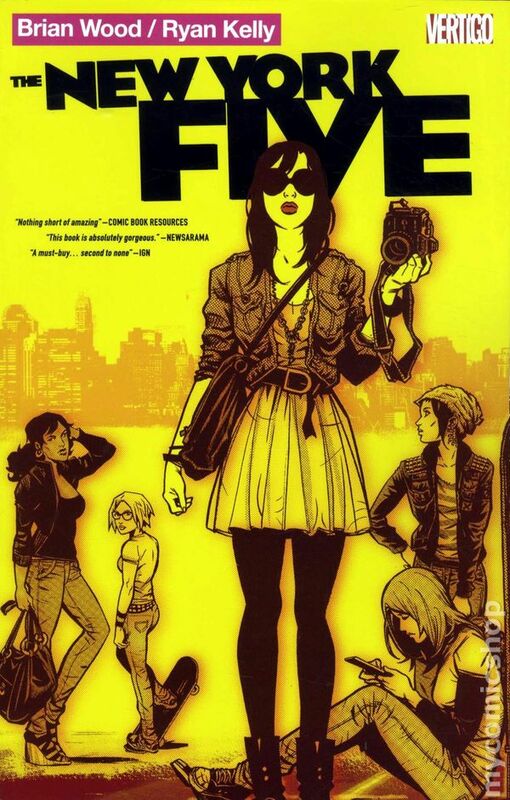 Collects New York Five (2011 Vertigo) #1-4. Written by BRIAN WOOD. Art and cover by RYAN KELLY. Collecting the four-issue miniseries the exposes the underbelly of college life in the Big Apple! Riley's sister Angie is making a name with her new band, while Riley is the black sheep of the family. Plus: Lona's murky past seems to include stalkerism, and Merissa and Ren must deal with situations involving older men. Also includes bonus material! Softcover, 144 pages, B&W. MATURE READERS Cover price $14.99.